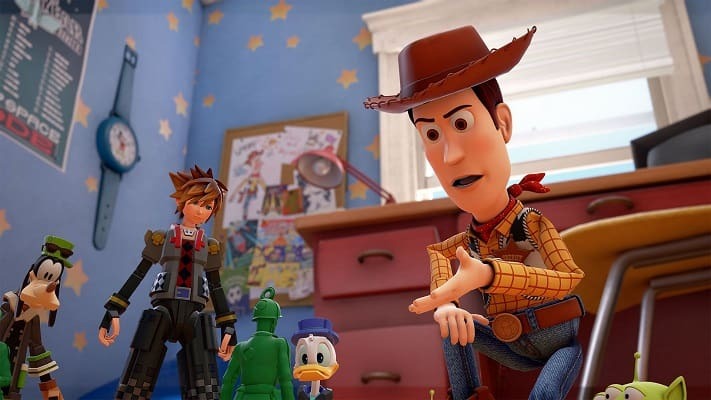 Everyone’s favorite endearingly-convoluted Disney-Pixar-Square Enix RPG crossover series is back with its third mainline game, Kingdom Hearts 3 (abbreviated KH3). Although developer Square Enix has released a cluster of loosely connected and oft confusingly-titled spinoff games – Kingdom Hearts HD 2.8 Final Chapter Prologue for example – it’s been thirteen years since Kingdom Hearts 2 released on PlayStation 2 back in the heady days of 2005. To say Kingdom Hearts 3 is among the most highly anticipated games around is an understatement. With a veritable army of fans clamoring for Square Enix’s next foray into the bizarre, jubilant world of protagonist Sora, we’ve gathered all the essential details here in easily digestible form. Rumors of a successor to the hugely successful Kingdom Hearts 2 reverberated across the grapevine as far back as 2006 but were only corroborated at E3 2013 when Square Enix branded the title with an official ‘in-development’ seal of approval. Initially scheduled for release in 2018, Kingdom Hearts 3 will instead release on January 25, 2019 in Japan and on January 29, 2019 in the rest of the world. 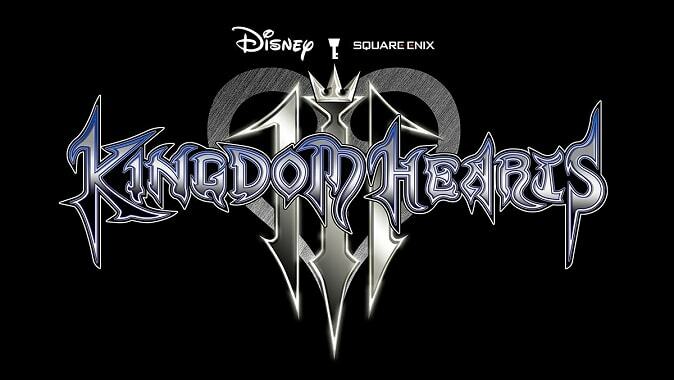 The dates were confirmed during a performance of the Kingdom Hearts Orchestra in Los Angeles in the lead up to E3 in June 2018. True to form and keeping to the pattern established by previous mainline releases, Kingdom Hearts 3 lands on Sony’s flagship PlayStation 4 and, for the first time, on Xbox One. Square Enix isn’t planning a PC release at the time of writing. If you’re in the business of acquiring special edition copies, the standard deluxe edition packs an art book, steel case, and a collectible Disney pin. If money is no object, then Square Enix has cooked up an exclusive Bring Arts deluxe edition, which ships with Sora, Donald, and Goofy figures. Kingdom Hearts lore is among the most elaborate in the gaming world, and Kingdom Hearts 3 follows in that rich tradition with an equally entangled and involved narrative. Marrying a mixture of characters pulled from Disney movies, animated Pixar feature films, and Square Enix titles, Kingdom Hearts 3 is a jumble that in theory shouldn’t work, but does so with aplomb weaving a fantastical story brimming with whimsical delight. Kingdom Hearts 3 takes place chronologically after the events of spin-off title Kingdom Hearts 3D: Dream Drop Distance and represents the final entry in the Dark Seeker/Xehanort story. Players reprise their role as protagonist Sora, a hero endowed with incredible power thanks to being the bearer of a Keyblade, which as you’ve probably guessed is a blade shaped like a key. Sora, accompanied by partners in crime Goofy and Donald, battles to close off the keyholes of the different worlds to halt a nefarious evil called Heartless invading the universe. 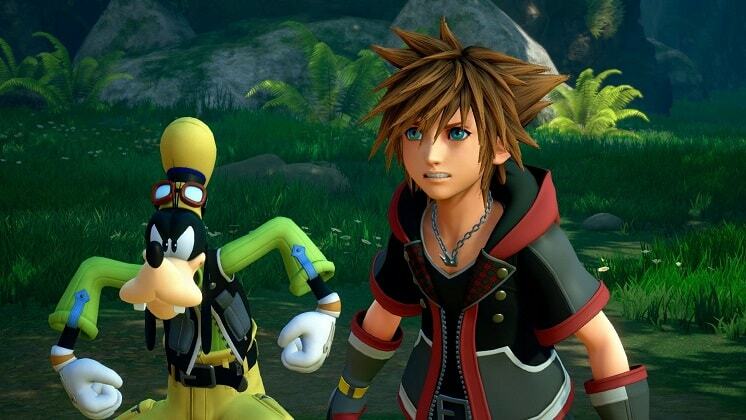 Disney and Square Enix characters inhabit each of these worlds, which pose a variety of challenges for players to overcome based on plotlines from films and games. The trio continues the quest for the Seven Guardians of Light while returning characters Riku and King Mickey hunt down other Keyblade wielders like Sora. All this in anticipation of a final standoff with Xehanort and a defining battle between the Seven Lights and the Thirteen darknesses. As for what characters will feature in Kingdom Hearts 3, the list is a long one. Notable attendees include Jack Sparrow, Sulley, Mike Wazowski, Hercules, Ariel, Woody, Buzz Lightyear, Simba, Terra, Ventus, Aqua, and Maleficent among many others. Sticking to the roots of the franchise, Kingdom Hearts 3 follows an amalgamation of JRPG elements with hack and slash combat mechanics. As you’d expect, the formula is an improvement on Kingdom Hearts 2 and builds upon the foundations laid down in the most recent Kingdom Hearts 3D: Dream Drop Distance. Director Tetsuya Nomura has described gameplay as ”frantic”. The party system returns, but in a departure from previous games, players will have the ability to choose up to four characters to join the fray alongside Sora. Players can also launch team attacks calling upon the various skills of different party members. Combat sees a host of new features to fend off smarter enemy AI, which is broken down into standard opponents like the Unversed, Nobodies, and Heartless as well as bosses such as the Rock Titan and Barbossa. Better combat mobility through a new traversal mechanic endows Sora with the ability to jump onto enemies, run on walls, scale previously unreachable heights, and explore the different worlds with ease. Add to that returning magic spells such as Shotlocks, Blizzaga, and brand new ones including the ‘attractions’ attack, which calls in an attraction from the Disney theme parks scattered around the real world. These include Big Magic Mountain, Mad Tea Cups, Shooting Ride, and more. Sora’s base spells increase in power as the game progresses through a new tiered ability system. ”Links” or character summons are back as well, allowing players to call in extra characters to trigger unique attacks. In the same vein, Keyblade transformations return as well, one for each completed game world, and are upgradeable with varying effects and attacks. Players can also equip multiple Keyblade transformations for different combos and attacks. Regarding the worlds players will explore, a number of them are already confirmed with more to feature in the full release. The Gummi Ship returns to facilitate exploration and combat between the various worlds. 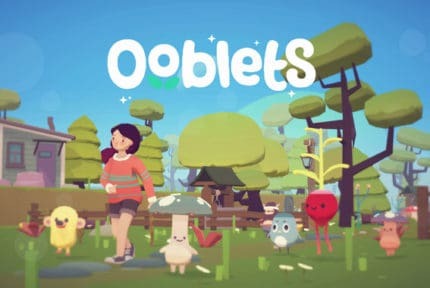 Each world has custom designed gameplay elements ranging from underwater swimming, first-person mech combat, cooking, cliff scaling, ice skating, vine swinging, space dogfighting, and a plethora of mini-games. We have the Hercules-inspired Olympus Coliseum, Monstropolis from Monsters, Inc., the Toy Box based on Toy Story, a Pirates of the Caribbean locale simply titled The Caribbean, San Fransokyo from Big Hero 6, Tangled‘s Kingdom of Corona, Hundred Acre Wood from Winnie The Pooh, Frozen‘s Arendalle, and the return of Kingdom Hearts staple Twilight Town. As you’d expect from a game that melds zany influences and frenzied gameplay, there exists a full panoply of trailers for Kingdom Hearts 3 starting with the reveal at E3 2013 and our first glimpse of what Square Enix had in store at the time. Travel forward to E3 2014, and the developer produced a much tamer trailer formed predominantly of evocative text. 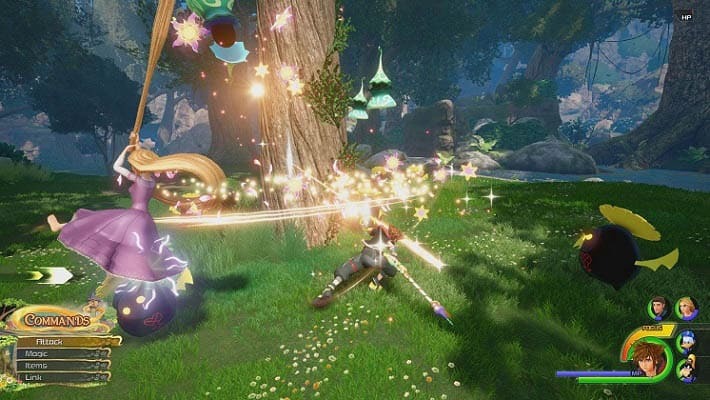 The E3 2015 trailer honed in on Kingdom Hearts 3 rendition of the Tangled-inspired Kingdom of Corona and a first look at actual gameplay footage, including the ”attraction” spell, Keyblade transformations, and combat mechanics. Shortly after E3, Square Enix confirmed the inclusion of Big Hero 6 via a trailer starring Walt Disney Animation Studios producer Roy Conli. During 2016 Square Enix remained quiet on the trailer front until E3 2017 when it released what was dubbed The Orchestra Trailer showcasing Sora and Co’s antics in the Hercules-themed Olympus world. Next up was the Toy Story world reveal at the D23 Expo fan event later on that summer. Once again D23 was the stage for a further trailer, this time at the D23 Expo in February 2018 unveiling the Monsters, Inc. world. Spring 2018 blessed us with a short trailer for the Classic Kingdom, a world of mini-games channeling classic Disney cartoons. Trailer fervor kicked into overdrive at E3 2018 with reveals of the Frozen and Pirates of the Carribean worlds as well as a more standard E3 showcase trailer. September 2018 produced a trailer for the Big Hero 6 world portrayed by a furious battle on the Golden Gate bridge. 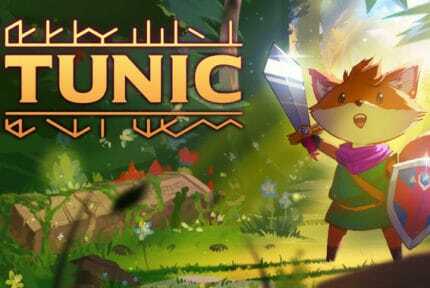 In the last few months, Square Enix has also released dedicated trailers for the Tangled and Winnie The Pooh portions of Kingdom Hearts 3, exhibited at LUCCA 2018 and Xbox’s XO18 event respectively. To round off a busy run of trailers, Square Enix unleashed the final trailer for Kingdom Hearts 3 in November 2018, a summary of all the reveals to date packaged to tug on those heart strings. If the commercial and across the board critical accomplishments of the previous eleven Kingdom Hearts entries are anything to go by, Kingdom Hearts 3 is set to forge an unstoppable path to success. With less than two months until release, fans of the wildest video game mashup in existence don’t have too long to wait before delving into Sora’s next wondrous adventure.